Along with thousands of others of Asian origin, Shahid Sheikh’s family Was forced out of Idi Amin’s Uganda in 1972, and headed for the UK “with just the clothes on our backs”. Their chosen destination, Leicester, is today the proud home to one of Britain’s most ethnically diverse populations. Back in 1972, the city was not as welcoming to Ugandan refugees. But attitudes changed and the Sheikhs not only established themselves but prospered, showing the imagination and drive that makes the Midlands such a vibrant force in the British economy. Sheikh and his brothers began their meteoric rise by selling paper and plastic bags from a car boot in London. This gave them a rough-and-ready commercial grounding that they were only too ready to build on. Shahid Sheikh’s company produces all manner of packaging, Right. Back in Leicester, they identiﬁed that there was a market for bags printed with business names. 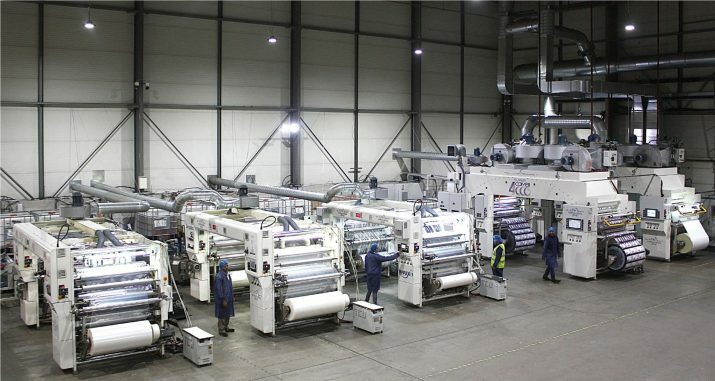 They bought an old printing press, rented a tiny factory, and launched what is now the Clifton Packaging Group, which has grown to employ more than 100 people. The company – nominated in the Lloyds Bank Positive Social Impact category and for the Vonage Nexmo Business Enabler of the Year award specialises in the manufacture of ﬂexible packaging materials for snacks, confectionery, bakery and health food. Its ﬁnancial progress is startling: from a ﬁrst-year turnover of £20,000 in 1981, yielding little or no proﬁt, it has grown to £21 million last year with a gross proﬁt of £6 million. 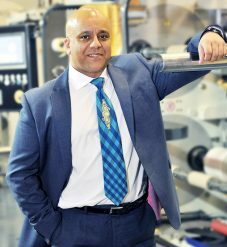 “We’ve been operating out of the Midlands for over 30 years now as part of a diverse group of thriving manufacturers,” says Sheikh, the company’s managing director. Indeed, research by Lloyds Bank Commercial Banking showed a signiﬁcant rise in economic optimism in the East Midlands during July. Sheikh takes pride in his many achievements, including an impressive clutch of honours. “Being awarded an OBE [in 2013] has got to be one of my proudest moments”, he says. Making a social difference ranks high among his priorities. As well as campaigning to raise funds for UK causes, he created the Baba Foundation, which seeks practical solutions to African problems, such as providing water puriﬁcation equipment. “With our partners, we’re playing our part in alleviating poverty in Africa and delivering sustainable development,” he says. For Sheikh, there is a personal element. His mother died in 1972 before the family left Uganda; his father died in the UK 13 years later having “sacriﬁced so much”.